“May I use the bathroom?” “No, 20-20 rule.” This is a very common conversation between students and teachers. The first time a student hears about the 20-20 rule is when they are told they cannot use the restroom. Teachers don’t take the time to explain what exactly this policy is, students are simply expected to know. 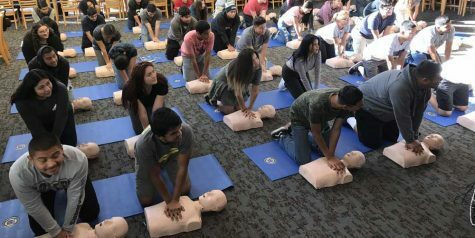 The 20-20 rule states: students are not allowed to go to the restroom during the first or last 20 minutes of every period, unless in an emergency situation. 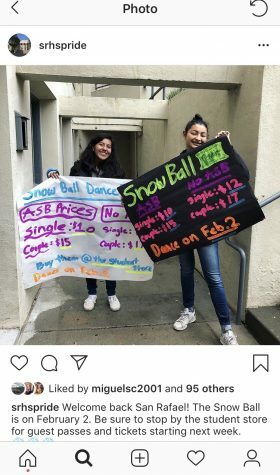 Students at San Rafael High School are expected to know this policy that is only listed in the Student and Parent Handbook, but not described. The 20-20 rule is under ‘Expectations for Teachers’ in the Student and Parent Handbook 2018-2019. “Follow the 20/20 rule” is all that is mentioned in regards to a bathroom policy at SRHS. 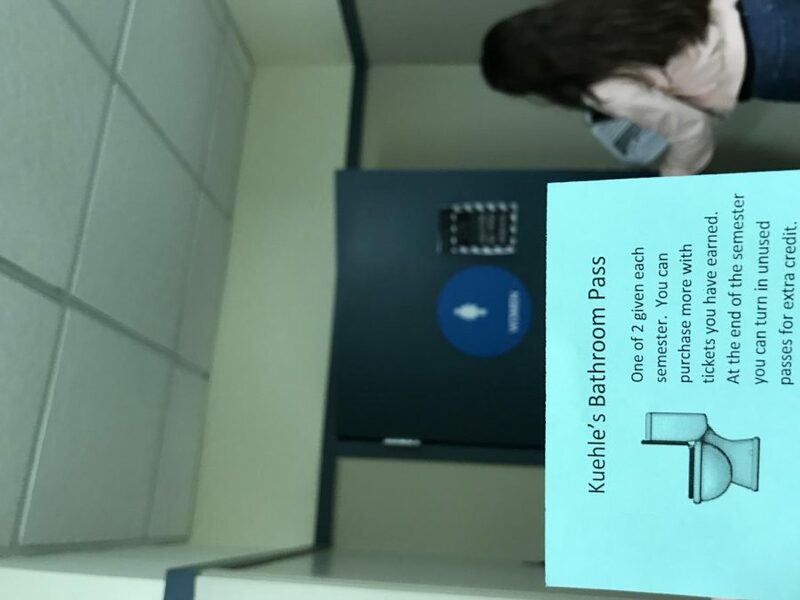 Because the 20-20 rule only states the time frame in which students are or aren’t allowed to go, this gives teachers a lot of power to make their own rules in regards to bathroom usage. Several teachers have their own bathroom policies. During an interview with our school’s assistant principal, Dr. Pitcher, I mentioned that the 20-20 rule solely explains when students can and can’t go. 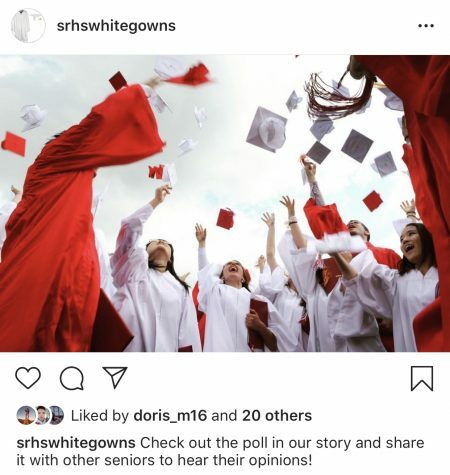 I followed up with the question of if when students need to go to the bathroom, does the rule give teachers the power to decide if a student can or can’t go? She explained that that is right, that it’s at the teachers discretion, so the only guidelines the teachers have to follow is the 20-20 rule. She followed up by mentioning common bathroom systems that teachers use in their classrooms, such as a certain amount of bathroom passes per student, or if students use restroom during class the time gets made up after class, etc. Giving teachers such power may lead to what all students dread: little to no bathroom privileges. 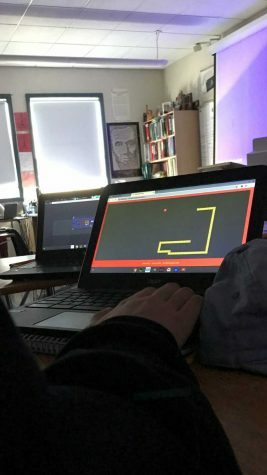 Students at SRHS have come across situations where teachers do not permit them to go and are forced to hold it in. That is bad not only for one’s body physically, but also mentally. Incidents shouldn’t have to occur in order for change to be made, and that was something Dr. Pitcher agreed with. Some teachers at SRHS are also opposed to the restriction of bathroom usage. Matt Winton, a history teacher, states he doesn’t have a bathroom system and doesn’t have an issue with allowing students to use the restroom. 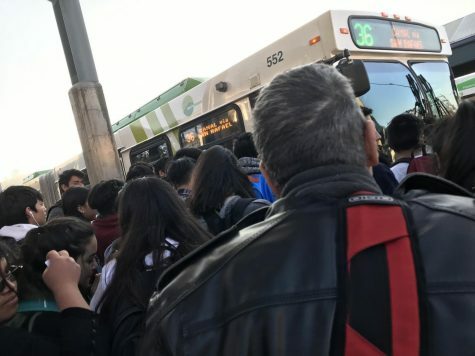 “If you have to go to the bathroom then you should be able to go to the bathroom… The teachers that say ‘No, you can’t go to the bathroom’, I think that’s ridiculous,” stated Winton. Many students at SRHS aren’t even aware of the school’s ‘bathroom policy’. Sophomore, Amelie Benicio said that most of her teachers had their own sort of bathroom system. She said that she found one bathroom system to be most efficient for both the teacher and student. One of her teachers allows students to go to their liking but in return they must leave their phone in class during the time they are using the restroom. With this system she says it, “Allows students to ONLY use the bathroom and not wander around and reply to messages and check insta,”. Some students like Alex May, a senior at SRHS, do believe in bathroom restrictions. May states they are necessary but, “Sometimes not okay because teachers may misuse their power and not allow students to go at all”. May believes in bathroom restrictions but is aware of that some teachers don’t allow students to go. Abby Crome, a Spanish teacher at SRHS is noted for her strict ‘bathroom policy’. She is one of the few teachers at school that doesn’t permit bathroom usage during class. 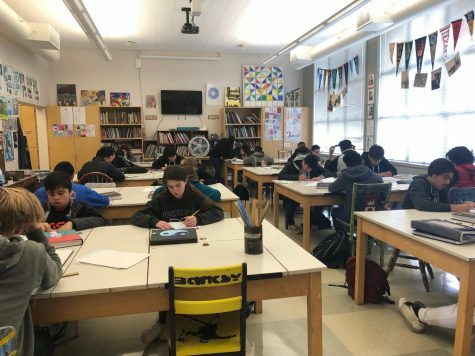 “I don’t get to use the bathroom during class, it is my legal obligation to stay in here and I legally can not leave,” Crome continued with, “…If I can make that commitment for 90 minutes so can you guys [students of SRHS],”. Although it is not illegal to deny the right to a student to use the restroom, it still is an issue. There are many health issue that can come with holding in bodily substances. Across the country there are incidents that occur all the time. Restraining bathroom privileges has lead to parents and students filing lawsuits against the school for rigorous bathroom policies. The only action that would considered illegal would be if a teacher denied bathroom privileges to a student with a medical condition that has a note from a doctor under record by the school. Justine Kuehle, History teacher at SRHS prior and current students were in favor of her bathroom policy. Kuehle is one of the teachers at SRHS that has a well functioning bathroom policy. Many of her students are in favor of her policy. 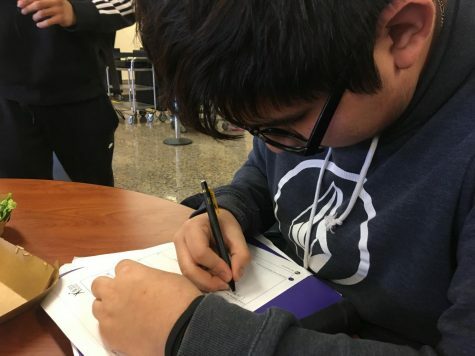 Dulce Gonzalez, a former student of Kuehle says, “I wish my other teachers had some type of system like this, it made it easier for us [SRHS students] and her [Kheule]. All teachers should have a system, a fair one,”. 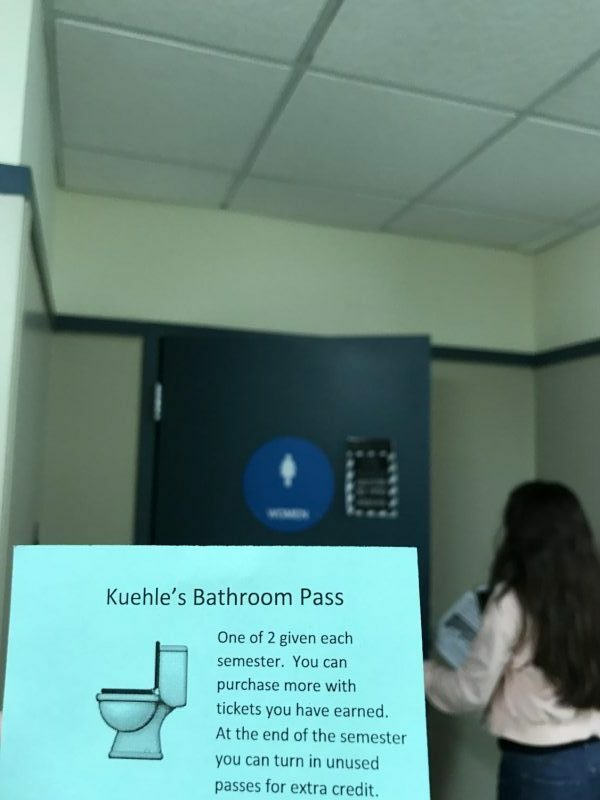 Kuehle gives her students 2 bathroom passes per semester. One’s initial thought is that may not be enough. She proceeded to inform me that her class has a currency that consist of tickets. 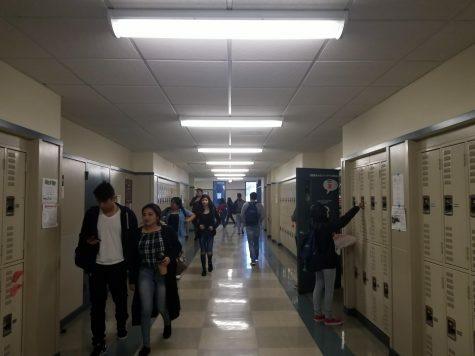 Students can earn up to two tickets per class, she explained that students can buy more bathroom passes, ‘Students can buy bathroom passes so they don’t have to feel that that’s it, there is another way to get more than two passes,”. 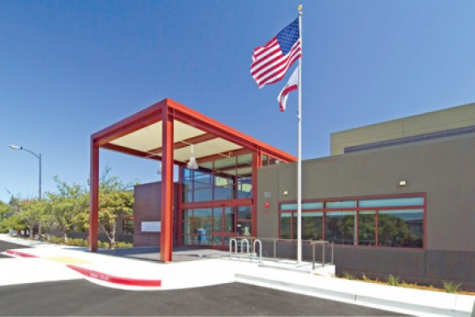 Bathroom policies create order, something that is needed to keep a school running efficiently. When anyone is in power and guidelines are not given, chaos is waiting to happen. Teachers at SRHS are not given guidelines to create bathroom policies and many students are not even aware of their school policies. 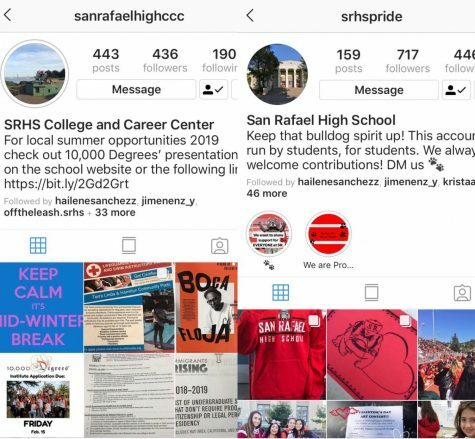 San Rafael High School has not had the bathroom policy mentioned in table of context of the Parent and Student Handbook in the past decade and currently remains unchanged.